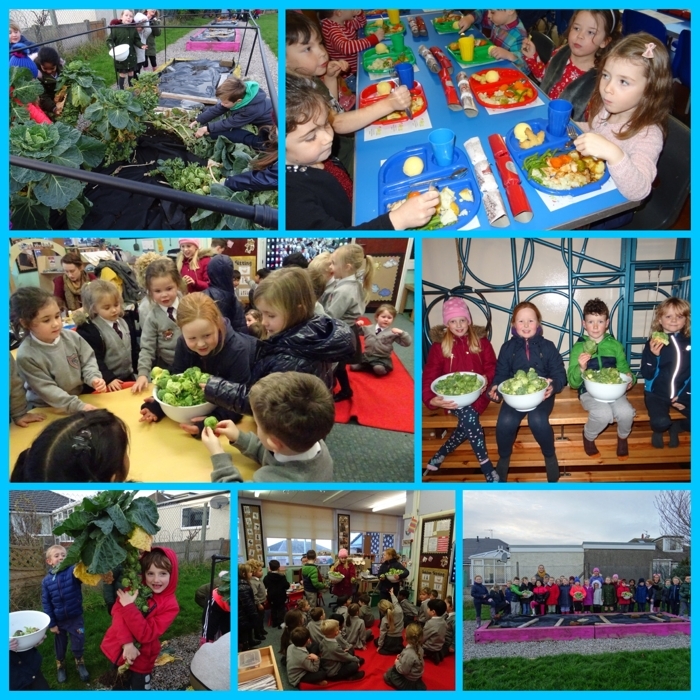 Dane Ghyll School has an award winning and productive vegetable garden. We have been Cumbria in Bloom winners every year since they introduced school gardening into their competition in 2012. We have won several awards at Holker Garden Festival receiving gold awards and also winning awards at local Horticultural shows. 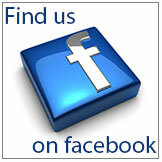 We have a greenhouse, large polytunnel and 7 raised planting beds, one for each year group. Also a sensory garden, container garden, fruit orchard , rose garden, Viking boat and minion tyre planters made by the children. 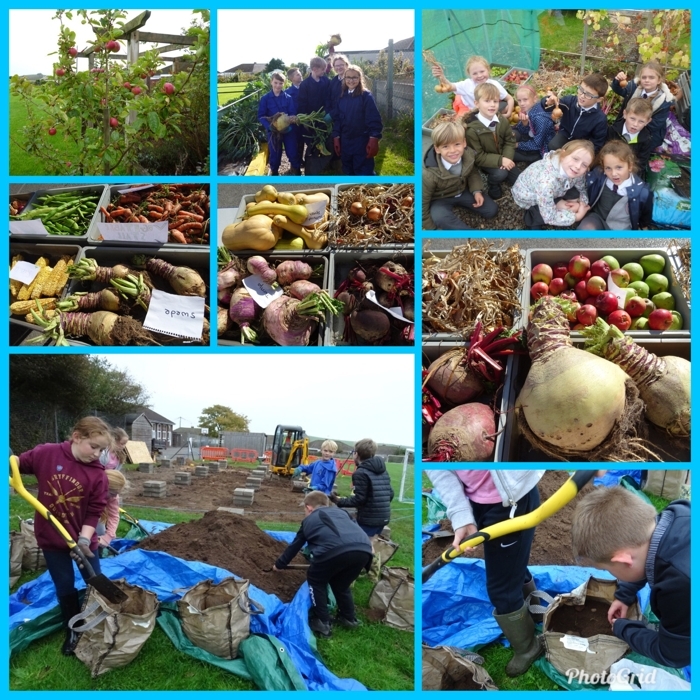 Not only do we grow vast amounts of fruit and vegetables of all varieties including some more unusual produce, we also keep gardening diaries detailing all the children’s work. These diaries have won prizes nationally. The school are Harrod Horticultural winners and we are currently YPTE -Better Energy School Award regional champions, representing the whole North of England. With the help of Mrs. Postlethwaite the children are always kept busy in all areas of horticulture. We are also delighted to receive the help of Paul our local Woodland Trust warden. Its time to get ready for our Spring planting! 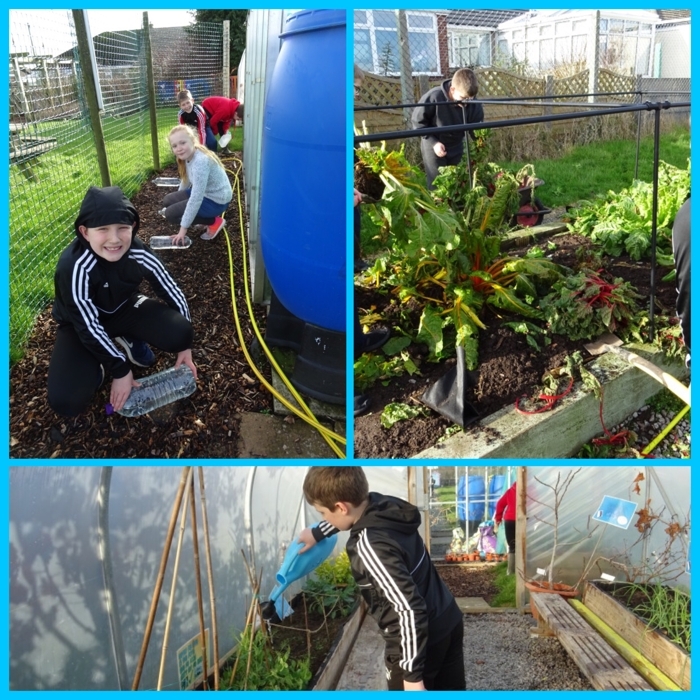 Year 6 got to work cleaning the polytunnel and greenhouse. They also cleaned the seed trays and lids ready for seeds to be planted. 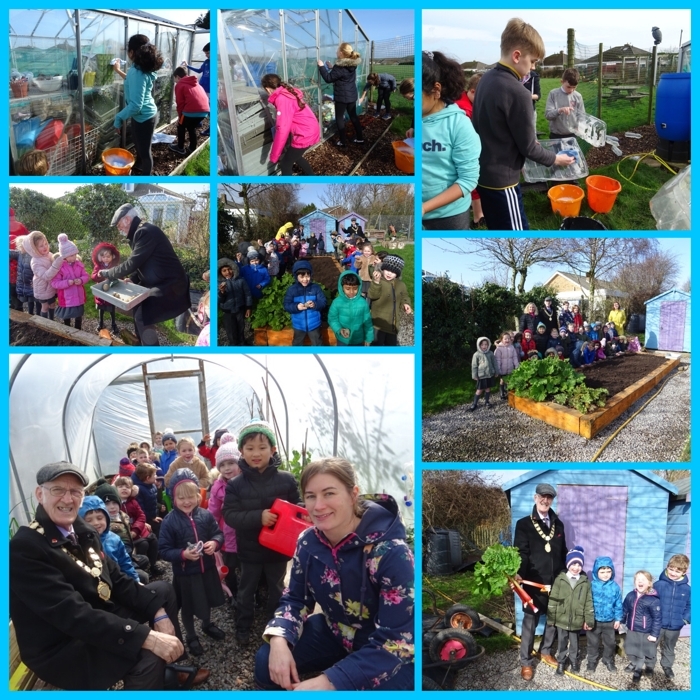 We had a visit from the Mayor of Barrow Bill McEwan this month ,he helped reception class plant their seed potatoes. Jenny from Winders Accountants also came to help .Winders have made a kind donation to help with our garden projects. Reception classes rhubarb has grown very big over the last 2 weeks ,the children picked some for the mayor to take home with him. The children also watered in the polytunnel . Unfortunately we have a major problem with cats in our garden again .They are using the paths and raised beds as a toilet .The children have put plastic bottles filled with water on the ground ,hopefully this will deter the cats as we are told they don’t like their own reflection. We continue to water our crops in the polytunnel and greenhouse. Year 6 dug out the chard ready to prepare the ground for our spring planting. 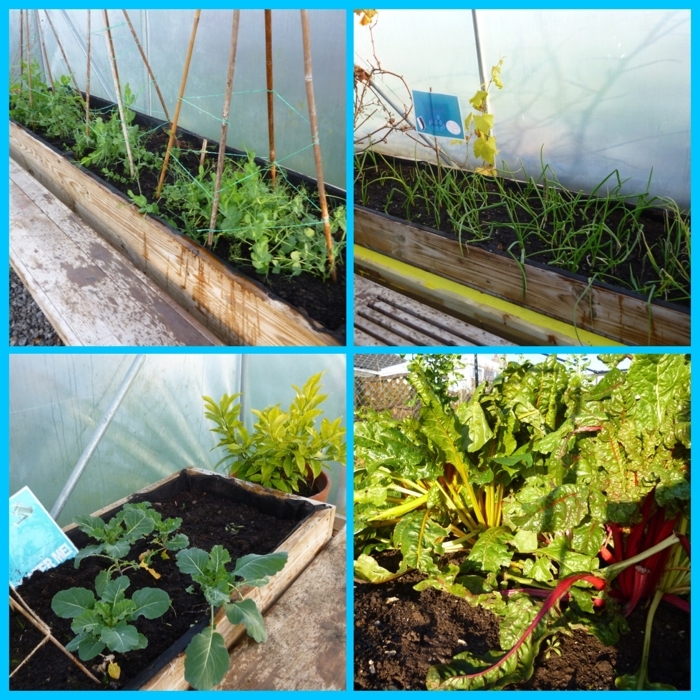 With the cold weather outside we are concentrating our vegetable growing in the polytunnel, however we do still have chard growing outside . In the polytunnel we are growing onions ,carrots ,peas and broccoli. They are all growing very well and hopefully will be ready for eating soon. This month is a quiet time in the garden ,most of our crops are now picked . However ,we cant forget our amazing amount of sprouts ! Harvested by the children and served to the whole school in their special Christmas lunch. After discovering our award winning gardens were broken into over the school holidays and our pumpkins were smashed Morrisons kindly donated pumpkins so the children could still carve them for Halloween. We also made pumpkin soup using peppers grown in the polytunnel and onions we had grown. The children delivered it to members of the public. Year 3 picked lavender and the children will be making lavender bags. 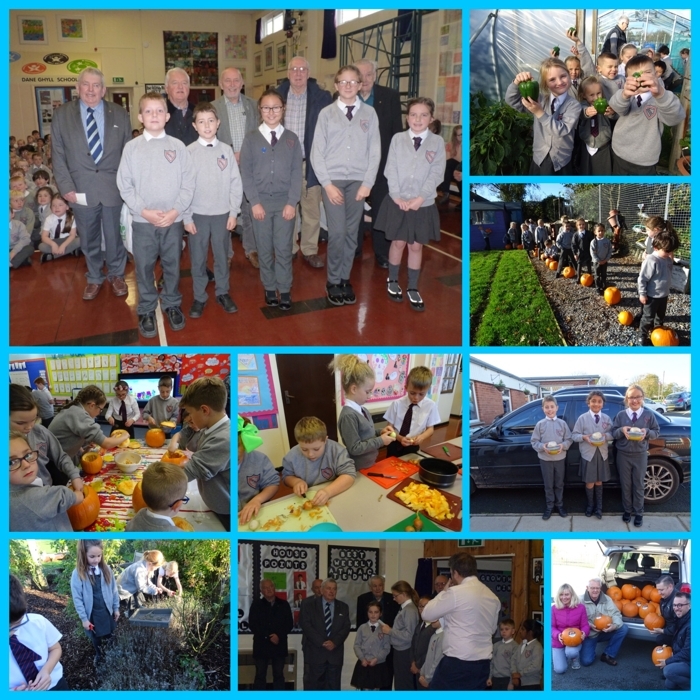 Following on from the vegetable sale last month year 6 invited members of Furness Rotary Club into school and presented them with a cheque . The Rotary club kindly helped us in the school gardens cutting trees back and strimming the grass in the wildlife area so we wanted to thank them. They told us they will be using the money to purchase aqua boxes which will be used in countries which don’t have clean drinking water. After harvesting so much fruit and vegetables year 6 school council decided to hold a vegetable stall for parents . They did very well and raised some money which will be going to a very good cause ,details next month. The children also moved some top soil and planted Christmas potatoes in sacks which we put in the greenhouse.